I was young when I first started seeing ghosts. The first time was when I saw a woman wearing a white dress whose hair covered her whole face. I thought that would be the first and the last time, but I was wrong. That was only the first of my many encounters. I can feel them, and sometimes see them. But, I have never experienced talking to them (and I don’t want to! That’s too scary). Anyway, this one particular experience haunts me the most. I was still in college when this happened. Our house is one of those many that survived WWII, yes it’s ancient and the furniture is ancient too! I share a bed with my sister and one night while we were sleeping, I was awakened by a whisper. Someone was whispering to me! I was so scared, but I still opened my eyes and saw a woman’s face near mine! I tried closing my eyes, but she whispered to me again, telling me that she wants to trade places with me! I tried to ignore her and silently prayed for this ghost to leave me alone. After sometime, she just disappeared. I prayed again and was able to sleep again. The next morning, I told a friend who also has the ability to see ghosts about what happened to me the night before. She then accompanied me to our house when I went home. After doing some inspections, she found out that the ghost was from the ancient closet of my great grandmother. 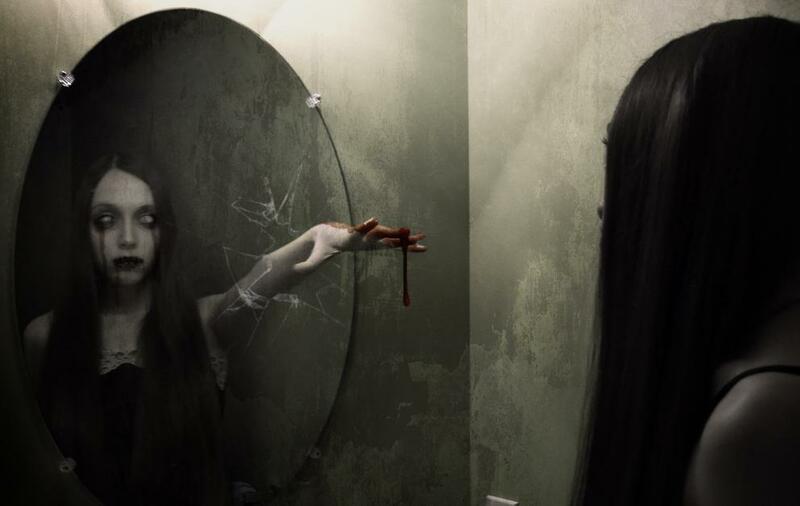 The woman’s spirit was trapped in the mirror of that closet, and she really wanted to take over my body and to trap me in that mirror. My friend says that I was lucky she didn’t succeed. After that, we switched rooms with my aunt. And I’m relieved that the ghost didn’t bother me again, although I still feel her sometimes watching me. That’s interesting and scary! Did the ghost bother your aunt after you switched room with you? Oh! When you noticed she had been watching you, what did you do to ward her off?